Leaping petal to petal, wings beating happily. The bees start to pursue her. She shimmers into her other form. Where once a tiny girl with wings flew. Here for such a short time. 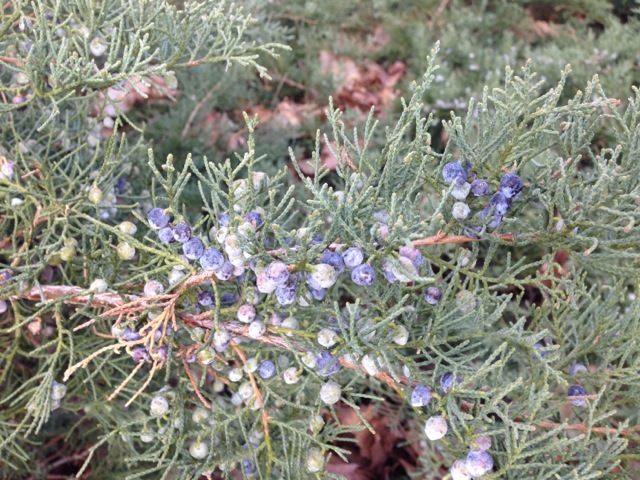 Lighting finally on a juniper bush. Sipping nectar from the blue dew-cones. Her transparent wings flitter, flutter. Then on into spring she adventures. If you like cherry blossoms you’d love Portland, Oregon Brenda. It’s fun walking around here in Spring with everything blooming at the same time. It’s tulip season, rhododendron season and the cherry trees are covering the roads, roads and sidewalks with cherry petals. We have a literal Garden of Eden in the Pacific Northwest. It continues all year long as the dahlias take their turn to bless us. Oregon is one of the largest producers of fresh cherries in the world along with hazelnuts and commercially grown flowers and Christmas trees. I visited Portland in the ’90s. You forgot to mention the rain!! LOL You’re right, though, it was beautiful! LOL Me, too! I saw a large black bumble bee last night that looked quite drunk on cherry blossom nectar. I was out shooting video for a new FFT vid with flowering trees. Luckily I didn’t get stung once! But quite more harmless as we just get drunk with the scent of the cherry trees in blossom.. Your writing is very evocative . Very well written , honey. Brenda, Smiling you bring up so much from my past. 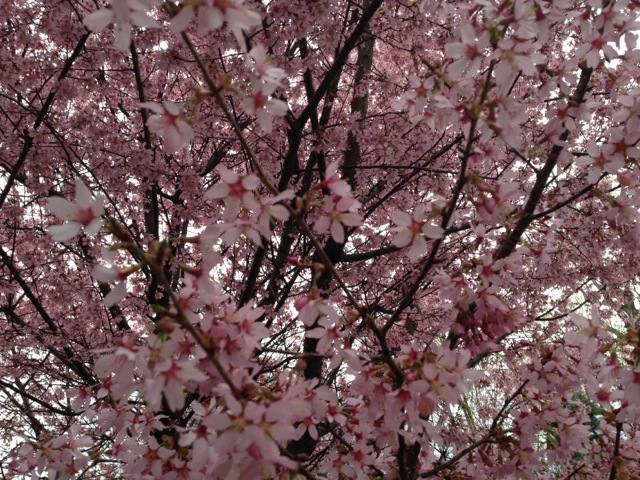 I worked in DC for almost 30 years, And Cherry BLossom time was very important to the city. Without question you could get drunk on sight and smell, the hundreds and hundreds of tress surrounding the tidal pool. It was a vision of pure joy. Another part of living in that area I miss. Take care, Bill PS — as much as I miss it I don’t miss it so much I am willing to move back. A wonderful fairy adventure. Are the cherry trees alive and buzzing with bees? The bees make such a noise in my cherry tree when it blossoms. It’s astounding. Me too. Maybe it needs to be a little warmer yet. Yes, warmer would be good! That’s so gorgeous. Some of your faery poems, stories and photographs would make the most delightful book for parents to share with children. Have you ever thought of publishing online? You can get hard copies published quite simply. It could be a good seller and be quite a magical addition to any little girl’s library – not to mention a wonderful stimulus to the imagination. What a magical world you’ve created! Just lovely! A delightful romp – very well done. Beautiful pictures and beautiful Writing! I’m going to read this one to the Girls! Yes! I love the scent of these flowers and the petals appears to be snow. Yes, they are so beautiful!! It’s raining buckets now, and the petals might be all gone already.